?Real Madrid manager Santiago Solari has claimed his side have the potential to win the Champions League this season, a feat that would see them lift the trophy for the fourth year in a row. After a disastrous start to the season during Julen Lopetegui’s brief, fateful reign, Los Blancos have turned their season around under Solari, and are now within six points of league leaders Barcelona. After topping their Champions League group, despite two defeats, Real now face a mouthwatering tie against Ajax in the round of 16, with the first leg taking place on Wednesday. Speaking at a UEFA press conference, as quoted by Marca, Solari said: “Football is an almighty provider of hopes and dreams, and playing in the top division is the dream you have when you are a little kid. Sometimes dreams do not come true and hopes are crushed, and football makes you have to start over and pick yourself back up. Discussing the challenge posed by Ajax, via Goal, Solari said: “Ajax are very well known for their work in the youth system, for their commitment to young talent and their offensive football. 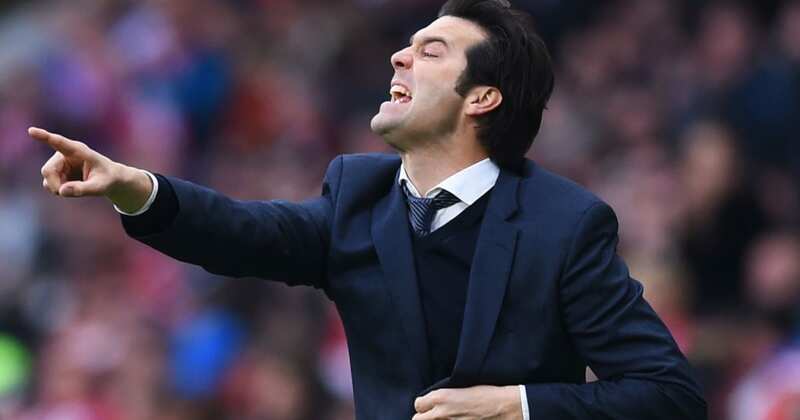 Despite his claims, Solari will surely be confident of picking up a decent result in Amsterdam this week, before hosting the Dutch giants at the Bernabéu later in the month. Los Blancos are certainly in fine form at the moment, after ?beating ?their local rivals Atlético Madrid 3-1 in the city derby last weekend.